Because for most of us, seeing a low fuel gauge on our dashboard means loss of precious $$$. The simple solution – fleet fuel cards. Fuel cards issued by the main service station brands account for the majority of vehicle related transactions since fuel is the main fleet expense. 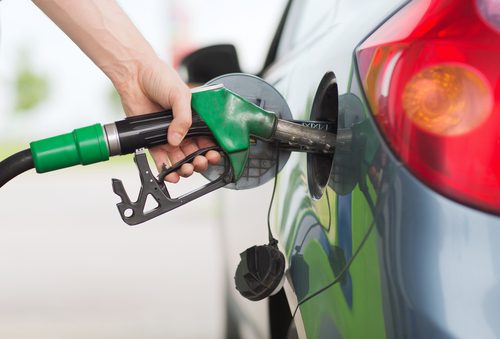 Caltex, BP, and Viva Energy currently offers fuel cards for both large and small businesses. Their offers range from cards that allow you to buy fuel or diesel, to cards that can be used for tires, servicing, and parking. There are a couple of providers in the market right now that issue fleet card for your business like Motorpass. The issue is choosing the right one with the perfect service feature for your fleet. Wex Motorpass fuel card, for example, offers custom-made cards that can be tailored to suit your needs. This card contains driver and registration details stamped on it so only the driver of the vehicle should use the card. It can be produced to have a signature panel on the back that must be signed upon receipt. This card will have a designated cardholder/driver with the person’s name imprinted on it. Only the designated driver should use this card. The card can also have a signature panel added to the back which must be signed upon receipt. This card is specific to a vehicle’s registration, make, model and color, or just a unique registration number. The vehicle details will be printed on the card, so anyone driving the vehicle has access to it. Fleet cards are currently accepted at 90 per cent of sites selling fuel in Australia and fleet businesses can get a discount through a partnership with many branded service stations. With over 5,800 locations available, your drivers can take you to the road with the confidence of knowing that anywhere they are, they won’t be far from somewhere to fill up. Access to a wide network is vital for fleet business. Time is money, so you don’t want your drivers diverting off their direct route and just looking for the right brand of petrol station. One upon a time fuel discounts were only available to large fleets, however the supermarket fuel war changed the industry and now most fuel card providers are willing to provide a customizable discount regardless of the size of the business. So how do you get a fleet card for your business? If you own a fleet business, then fleet cards are the easiest way to start driving your business forward. Acknowledge that the credit provided by WEX Australia Pty Ltd is wholly or predominantly for business or investment purposes. Applications are open to businesses registered in your area, and individuals requiring the fleet card for business purposes. Start harnessing the benefits of fleet cards to your business today.